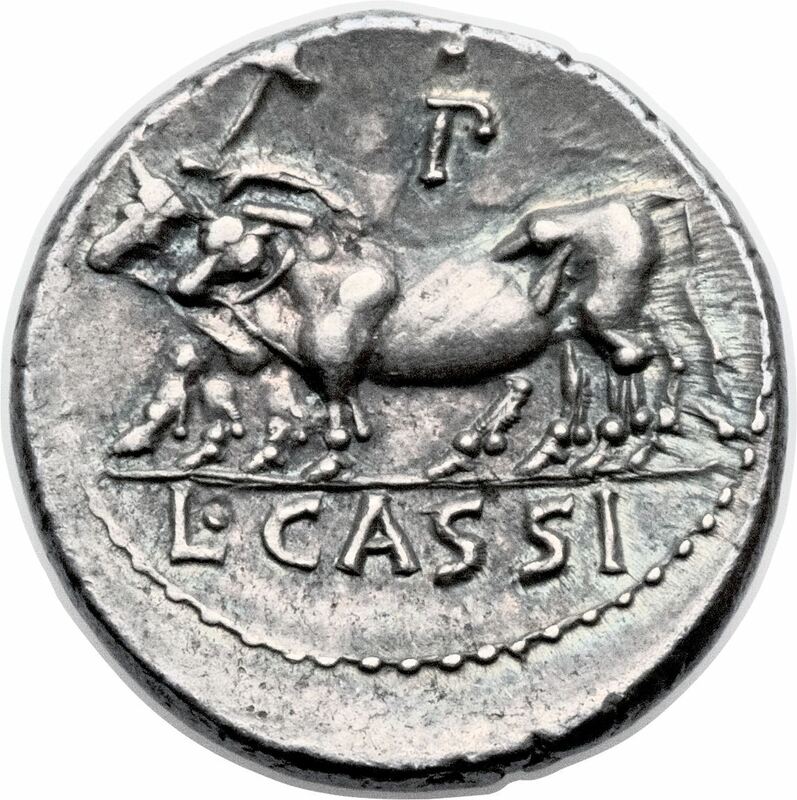 L. Cassius Caeicianus was one of the moneyers for the year 102 BC. He served as praetor in 84 BC. Gens Cassia was a Roman family of great antiquity. The gens was originally patrician, but all of the members who appear in later times were plebeians. The first of the Cassii to obtain the consulship was Spurius Cassius Viscellinus, in 502 BC. He was the proposer of the first agrarian law, and was put to death by the patricians.